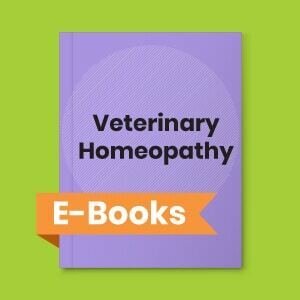 Every serious student should know the philosophy and methodology of classical homeopathy and this is THE book from which to learn it. Originally written in 1900 as an update to The Organon, in this book Dr. Kent summarizes, interprets, and systematizes the traditions of homeopathy, offering insights into the essential characteristics of the healing process: how to take a case history, how to study the case, how to establish the hierarchy of symptoms in determining the appropriate remedy – and above all, how to decide what to do after the first prescription, how to interpret the many reactions to therapy, and how to achieve a scientific understanding of a cure. School of Homeopathics, and published in the Journal of Homoeopathy, and, are given to the profession with the hope that they will prove useful in giving a clearer apprehension of the doctrines of Homoeopathy. Dr. Kent explores Aphorism one and the need to treat the sick person as a whole, and not reduce the disease to organs and tissues. The totality of the symptoms written out carefully is all that we know of the internal nature of sickness. Then the proper administration of the similar remedy will constitute the art of healing. 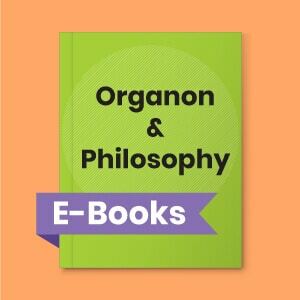 A discussion on Aphorism 2 from Organon of Medicine about the highest ideal of cure. The perfection of a cure consists, then, first in restoring health, and this is to be done promptly, mildly and permanently, and on fixed easily comprehensible principles. A discussion the third aphorism dealing with the knowledge a physician must have to cure the sick. This includes knowledge of disease, knowledge of medicinal powers of drug substances and the knowledge of laws to apply the later to former. Study of the last part of the third paragraph relating to the fixed principles by which the physician must be guided. Experience has a place in science, but only a confirmatory place. It can only confirm that which has been discovered through principle or law guiding in the proper direction. The physician is likewise a preserver of health if he knows the things that derange health and cause disease, and how to remove them from persons in health. The aim should be to discriminate and remove external causes and turn into order internal causes. Men cannot get rid of their prejudices until they settle upon and recognize authority. In Homoeopathy the law and its principles must be accepted as authority. To get rid of our prejudices is one of the first things we must do in the study of Homoeopathy. Indisposition is a state of sickness arising from improper diet, habits or lifestyle. First remove this exciting or maintaining cause (causa occasionalis), where it exists; the indisposition thereupon generally ceases spontaneously. Simple Substance is concept given by Kent which is similar to, but greater than the concept of Vital Force given by Hahnemann. The simple substance gives to everything its own type of life, gives it distinction, gives it identity whereby it differs from all other things. It is only the vital force, deranged to such an abnormal state, that can furnish the organism with its disagreeable sensations and incline it to the irregular processes which we call disease. The materialist refuses to believe anything that does not conform to the laws of time and space. It must be measured it must be weighted, it must occupy space, or he has no idea of it, and ill distinctly affirm that without this it is nothing and has no existence. It is only by the action of immaterial substances, simple substance or the vital force, acting upon a plane similar to the plane of his susceptibility, that a person can become infected with a sickness. The idea of this paragraph is that the removal of the totality of the symptoms is actually the removal of the cause. Once the symptoms disappear with a simillimum, the disease ceases to exist. Law of Similars: A weaker dynamic affection is permanently extinguished in the living organism by a stronger one, if the latter (whilst differing in kind) is very similar to the former in its manifestation. Because of these varying degrees of susceptibility some are protected from disease cause and some are made sick; the one who is made sick is susceptible to the disease cause in accordance with the plane he is in and the degree of attenuation that happens to be present at the time of contagion. If the chronic disease is stronger than the epidemic disease, i.e., if it has an organic hold upon the body, it cannot be suppressed. This is essentially the relation of the acute dissimilar disease to the chronic disease of severity. The chronic stronger disease serves as a protection against a weaker dissimilar acute. If you work long among sensitive patients you will come cross those who have been actually poisoned by the inappropriate administration of potentized medicines. It leads from now on, from the science of Homoeopathy to the art of healing. We see that we have now gone over the principal part of that which is merely science, the science of Homoeopathy. Kent believes that Psora is the beginning of all physical sickness. Had psora never been established as a miasm upon the human race, the other two chronic diseases would have been impossible, and susceptibility to acute diseases would have been impossible. If you will contrast Syphilis with Psora, you will see that the latter more commonly attacks the blood vessels and the liver and causes deposits beneath the skin, forming suppuration and boils. The syphilitic boil is not a true boil, it is a multiple tubercular mass most vicious in character. Most of the cases of true sycosis that are brought before the physician at the present time are those that have been suppressed, and they are a dozen times more grievous than when in the primary stage. All the diseases known to man have their likeness in the Materia Medica, and the physician must become so conversant with this art that he may perceive this likeness. The examination of the patient pertains to the homeopathic case taking, which Hahnemann discussed in aphorisms 83-103. Here Kent elaborates his approach to case taking along with clinical examples and common pitfalls. The importance of keeping records of every prescription and every remedy reaction cannot be stressed enough. It is not possible to manage a case well if the case records are not maintained properly. 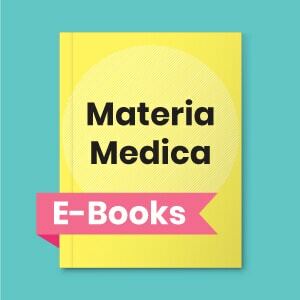 Every drug Hahnemann proved after China, established the law of smilia more and more, and every drug that he proved added one more remedy to our Materia Medica, which we now recognize as Hahnemann’s Materia Medica Pura and the Materia Medica of the Chronic Diseases. The usual explanation of the term is, an oversensitiveness to one thing or a few things. There may be a chronic idiosyncrasy from a chronic miasm and an acute idiosyncrasy from an acute miasm. There are acquired idiosyncrasies and idiosyncrasies that are born with a patient. The homoeopathic physician must individualize, he must discriminate. Without the generals of a case no man can practice Homoeopathy, for without these no man can individualize and see distinctions. The totality of the symptoms is the sole representation of the disease, to the physician; but that totality has to be studied to ascertain what there is, among all the symptoms, that characterize the disease, or marks the symptoms as peculiar. Kent grouped symptoms as Generals, Particulars and Common Symptoms. Each group was further divided in three grades 3,2,1, depending upon how strong that symptom was in proving and how often it has been confirmed in reprovings and in clinic. The remedy is known to act by the changing of the symptoms. The disappearance of symptoms, the increase of symptoms, the amelioration of symptoms, the order of the symptoms, are all changes from the remedy, and these changes are to be studied. The second prescription may be a repetition of the first, or it may be an antidote or a complement; but none of these things can be considered, unless the first examination, and all the things that have since arisen, have been carefully restudied. In these difficult cases, when you have zigzagged the patient for a number of years, you will find his symptoms become more definite and striking and more clearly understood. 1st Observation. Prolonged and final decline of the patient. It has been a mistake, the antipsoric was too deep, it has established destruction. In this state the vital reaction was impossible, he was incurable case. 2nd Observation. Though the aggravation is long and severe, yet you have a final reaction, or amelioration. The aggravation lasts for many weeks, perhaps, and then his feeble economy seems to react, and there is a slow but sure improvement. 3rd Observation. Whenever you find an aggravation comes quickly, is short, and has been more or less vigorous, then you will find improvement of the patient will be long. 4th observation. Administration of the remedy is followed by amelioration and no aggravation whatsoever. There is no organic disease, and no tendency to organic disease. The chronic condition itself to which the remedy is suitable is not of great depth. The amelioration comes first and the aggravation comes afterwards is the fifth observation. Either the remedy was only a superficial remedy, and could only act as a palliative, or the patient was incurable and the remedy was somewhat suitable. This sixth observation is too short relief of symptoms. The relief after the constitutional remedy does not last long enough, does not last as long as it ought to. You have the amelioration, but of too short duration. 7th observation. Once in a while you will seen a full time amelioration of the symptoms, yet no special relief of the patient, which is the seventh observation. The remedies act favorably, but the patient is not cured, and never can be cured. 8th observation. Some patients prove every remedy they get; patients inclined to be oversensitive to all things. The patient is said to have an idiosyncrasy to everything, and these oversensitive patients are often incurable. They prove every remedy given to them. 9th observation. Is the action of the medicines upon provers. Healthy provers are always benefited by provings, if they are properly conducted. 10th Observation. Relates to new symptoms appearing after the remedy. If a great number of new symptoms appear after the administration of a remedy, the prescription will generally prove an unfavorable one. 11th observation. Is when old symptoms are observed to reappear. In proportion as old symptoms that have long been away return just in that proportion the disease is curable. 12th Observation. Symptoms take the wrong direction. Remedy that is related to the skin alone may drive in that skin disease and cause it to appear while the patient himself is not cured. Such a patient will remain sick until that eruption comes back again, or locates in another place.